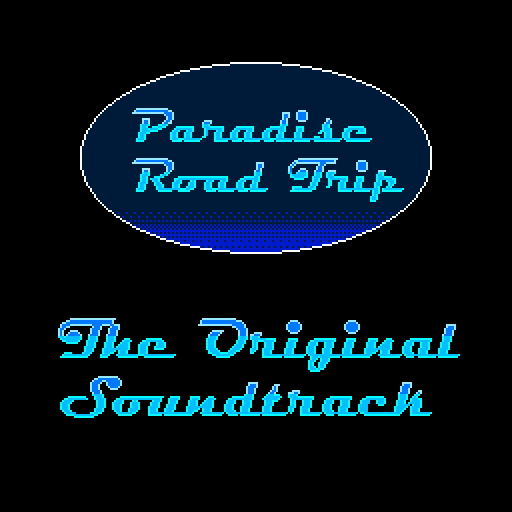 This soundtrack contains both the .mp3 (320 kb/s) and .ogg (500 kb/s) versions of all tracks used in Paradise Road Trip, my short little entry for the A Game By Its Cover Jam 2018! This time, I went for a late 80s/90s aesthetic. As a result, every track features a (software version of a) Yamaha DX7 or Korg M1, arguably the two most important synthesizers of that era. I didn't stay within the strict limitations of chiptunes and instead went for music that would have been considered popular or pleasant during that time period. I also followed a rather unusual approach by constantly checking whether the music still sounds interesting when slowed down to half speed during the game's main feature, the Chill Mode. Quite a few song ideas had to be scrapped because they didn't sound chill enough...or were boring! "Title Theme" is inspired by the FM-heavy House music that is featured in a few arcade and SEGA Genesis games. The goal was to establish a tropical, fun feeling as soon as the player sees the title screen! "Summer Break" was originally intended to play during the stops along the road trip, but since that mechanic was shortened, I used it for the intro instead. The chorused DX7 and the M1 Flute give it a really inoffensive vibe, kitschy yet relaxing. "Full Steam" is pretty much reverse-engineered Vaporwave material, obviously inspired by Macintosh Plus's Floral Shoppe. Well, almost...it builds up tension after the intro and turns into more of a galloping Synthwave piece. I aimed for a distinctively "fake" 80s sound with vintage synths, unrealistic drum machines and guitar parts that were actually played on my keyboard. "How Long?" is based on a song that I did almost a year ago but that was never released or used in any way. It is inspired by 90s alternative rock that was trying to recreate the guitar-heavy sounds of the 60s and 70s. It's overall more organic and authentic than "Full Steam". The drums are still programmed, but I played the keyboards, guitars and synth solo myself. For the soundtrack, I edited a few parts, the most obvious change was replacing the original vocoded vocals with a bell sound. The vocals were too distracting and the lyrics didn't really fit the game...finding a replacement proved to be pretty difficult, but I'm kinda happy with the results. 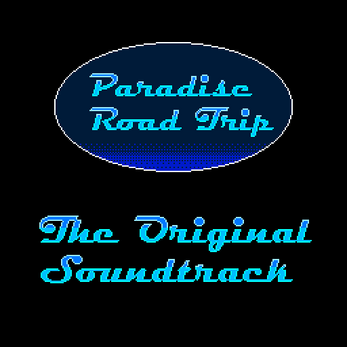 Activating Chill Mode when the guitar solo starts is one of my favorite things to do in Road Trip! "Precious Memories" is the recreation of a typical synth piano ballad of that era. I wrote it for the ending but noticed that the song was too short for the final text and I ran out time...so I played it at 2/3 of its original speed, using the same command that pitches the songs down in Chill Mode. Note: the version in this download sounds a little bit different, since it uses a different pitch shifting algorithm than the game engine. Simply download and unzip the version that you like!